inflammatory diseases, such as rheumatoid arthritis and Crohn’s disease. industry, targeting the largest number of biologic drugs. hospitalization by reducing the risk of treatment failure. 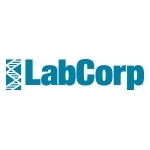 the online test menu at www.labcorp.com. and to learn more about Covance Drug Development, visit www.Covance.com. these forward-looking statements even if its expectations change. FINANCIAL CONDITION AND RESULTS OF OPERATIONS.